It was a week before the iPhone was scheduled for release, and I was hard pressed to decide whether I'd go with the Blackberry Curve or the iPhone. I've been a Blackberry user for a long time. I still like them. More than that, I've been a Verizon customer for years. I like the quality of Verizon's network. I can connect from almost anywhere I happen to be, nearly any part of any city in the country, and I seldom had dropped calls. I wasn't wild about switching to AT&T's EDGE network. So I hedged. I bought the Blackberry Curve the week before the iPhone was released, but only after someone at AT&T's retail store told me that if I wasn't satisfied with the Blackberry Curve I had 30 days to return it for a refund. That clinched it. 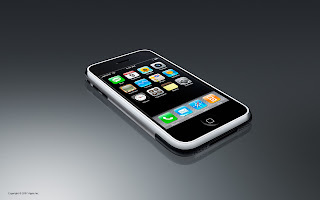 I bought the Blackberry, knowing that in just a week's time I would also have Apple's iPhone. That way I could effectively compare the two and make an intelligent choice. As the date for the iPhone's release drew near, the hype was over the top. My friend Ted paid to have someone stand in line on his behalf. I ran into another friend, Brian, the day of the iPhone's release, and he told me that he had given several folks the day off so they could wait in line, buy iPhones, and hopefully sell them at a profit. I'm not much for lines. I waited until I got a call from Ted telling me that the lines had subsided. Then I walked into the Apple store, walked straight up to the counter, and the new 8GB iPhone was mine. 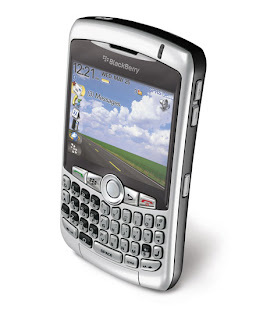 It took me two weeks time to conclude that I wasn't really going to use the Blackberry Curve. In that time, I managed to snap photos - on the iPhone - of two babies, a family reunion and a concert at the Fox Theater. I also experienced the satisfaction of being able to get directions on the iPhone via Google maps. But best of all, I became addicted to accessing the web to read news, search, etc. Even with AT&T's EDGE network, the experience was vastly superior to anything I'd been able to do with my Blackberry. I've been amazed at how many people I run into are immediately captivated by the phone. They want to touch it. I usually have them go to photos and open the latest camera roll. They pictures of our grandson, Aiden Christopher. Or photos of Howard & Elizabeth's baby, Oliver. And when I reach in with my fingers and exapnd them to zoom in for a closer look, they're utterly hooked. Great technology, great user interfaces are magic! A few weeks ago, I'd had enough of the Blackberry. I took it back to AT&T for my refund. But I also transfered my Blackberry's phone number to my iPhone. The number that I received through Apple's iTunes activation process has to have been the most random number I've ever seen. The number I received with the Blackberry, in contrast, was quite memorable. But that's hardly surprising. I picked it, and I knew when I chose the number that I wanted to maximize the number of repeating digits or patterns of repeating digits. A final word about the iPhone. For all its flaws, this thing is just amazing. Utterly remarkable!